The 20,000 euros collected through the crowdfunding campaign will fund the removal of 10 obsolete dams from the Kogilnik River in the Ukrainian part of the Danube Delta. 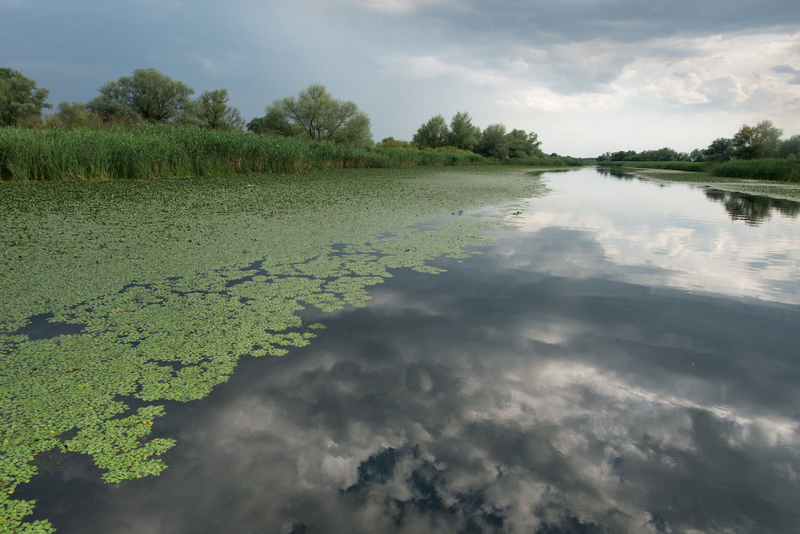 The Danube Delta ecosystem in Ukraine will soon become a little wilder thanks to a recent crowdfunding campaign in the Netherlands. Supplemented by additional funding from Rewilding Europe and partners, the nearly 20,000 euros raised by the Dam Removal Europe (DRE) campaign will see 10 obsolete Soviet-era dams removed from the mouth of the Kogilnik River (part of the Danube Delta Biosphere Reserve). The dismantling programme will be carried out by a construction company commissioned by the reserve. It will begin at the end of this summer (when the water level in the river is lowest and the wildlife breeding season is over), bringing significant and long-lasting benefits to local biodiversity and livelihoods. The picturesque Kogilnik River rises in Moldova before entering the Sasyk Lagoon in the Ukrainian part of the Danube Delta. A series of 10 small and obsolete dams, erected during the Soviet era times by local farmers, still restricts flow close to the river mouth, negatively impacting the river bed and local biodiversity. The much-needed removal of these artificial barriers will restore river flow, leading to the creation of about 20 kilometres of new habitat along the river, including flooded meadows. This will benefit a host of wildlife species, including wild carp, frogs, otters and a wide range of breeding and migratory birds. Local fishermen will benefit from healthier fish populations, while the comeback of wild nature should also support new opportunities for nature-based tourism. The removal of artificial barriers will benefit a host of wildlife species, including wild carp, frogs, otters and a wide range of breeding and migratory birds. In addition to changing the entire course of rivers, man has left a legacy of obstacles in virtually every European waterway. Some of these barriers provide essential energy and water and facilitate leisure activities, but many are completely redundant. With biodiversity along European rivers decreasing by over 80% over the last 40 years, the removal of dams has proven to be the most environmentally efficient and cost-effective measure for river (and riverine biodiversity) restoration. The past two decades have seen at least 5,000 small dams, weirs and culverts removed from rivers in France, Sweden, Finland, Spain and the United Kingdom. Founded in 2016, Dam Removal Europe – a joint initiative of Rewilding Europe, WWF, the World Fish Migration Foundation, The Rivers Trust and ERN France – is a European-wide coalition of organisations working to scale up this removal process. The crowdfunding campaign to remove the Kogilnik dams was launched in the Netherlands in June 2018. With a total of 28,000 euros required for the removal, the aim was to collect 14,000 euros. Together, however, more than 350 campaign donors have now contributed nearly 20,000 euros (Rewilding Europe and partners will contribute the shortfall). At Rewilding Europe we trust in nature. When left to manage itself, natural processes begin to function more effectively, interacting with each other to create constantly evolving habitats that are home ever-shifting wildlife populations. Across all of our operational areas, implementing the rewilding philosophy means creating space for self-governing natural processes to shape ecosystems. In addition to letting processes such as forest regeneration, flooding and natural grazing impact landscapes, we are also working to restore rivers to their free-flowing state, or as close to this state as we can achieve. In 2018, Rewilding Europe conducted river restoration in two of its operational areas: Swedish Lapland and the Oder Delta. In Swedish Lapland this work has included the removal of log dams that are a legacy of the local forestry industry. Read more about river restoration in Swedish Lapland here.